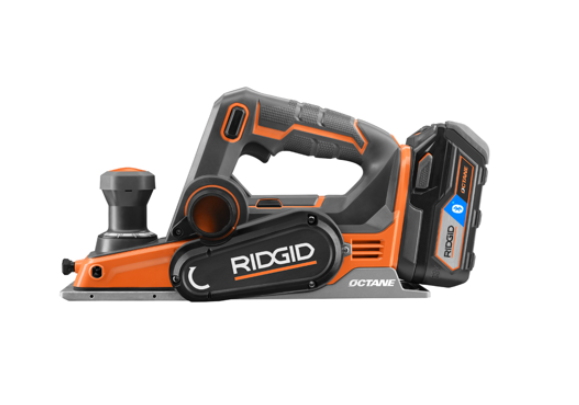 As with the new Ridgid Octane one handed reciprocating saw, it’s been several years since Ridgid has updated their cordless planer options, with the last model being from way back in their X2 line. The new model Ridgid R8481B 18v Octane Brushless 3-1/4” Hand Planer boasts all the features you’d expect from today’s best cordless planers. 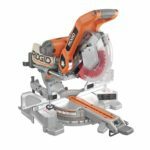 My thoughts: There’ve been rumors floating around the internet for almost a year about a new cordless planer from Ridgid and it’s nice to finally see the pictures and get the specs. Many people have been asking for a new version and for good reason. 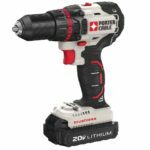 Think about 10 years ago and where cordless tools were then, that’s when their previous model came out, so it’s well overdue for a serious upgrade. 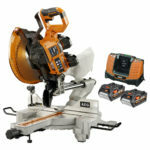 With several standard features such as a brushless motor, 3 ¼” cutting width, and an adjustable chamfer depth, this should be an excellent option for Ridgid users looking for a powerful cordless planer. OCTANE tool to deliver maximum power, intelligence, and performance with 2.5X the power than previous unit. Industry’s only adjustable chamfer depth with 5 different setting. Planning depth adjustment knob comes with 20 different locking positions for a more precise cut. Dual Chip Exhaust allows users to select left or right for added versatility. Wow $129 I am shocked it’s so cheap. I wonder if it’s a freebie item in the current promo? Hmmmmm….